There were fireworks at the Federal High Court in Lagos yesterday as Justice Mojisola Olatoregun accused a prosecuting counsel Mr Rotimi Jacobs (SAN) of being “incompetent” and “extremely rude”. 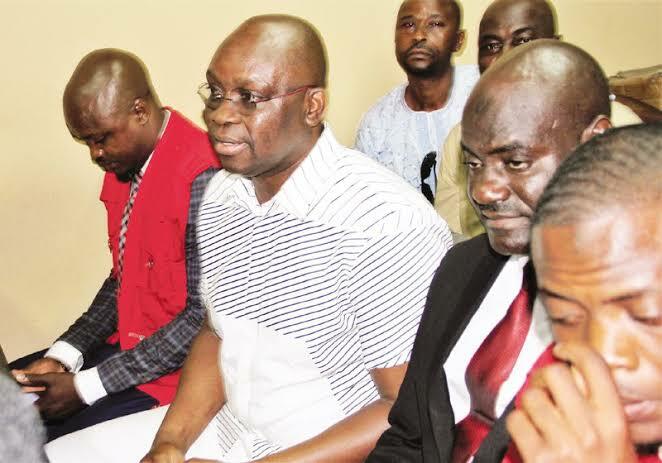 The Economic and Financial Crimes Commission (EFCC) accused Fayose of receiving and keeping N1.2billion and $5million allegedly stolen from the Office of National Security Adviser (ONSA) contrary to the Money Laundering Act. Fayose pleaded not guilty. The exchange occurred after the cross-examination of the 10th prosecution witness, Maroun Mechleb, who is the Chief Executive Officer of an Akure, Ondo State-based construction firm, Samchase Nigeria Limited. Justice Olatoregun upheld the objections, but added that Jacobs could “have another bite at the cherry” by tendering it later. She did not mark the document as rejected. Justice Olatoregun said: “You are going beyond your bounds. Do not let me trash your practice. Listen to me, if you re-evaluate my rulings in this court, you’ll get into trouble.